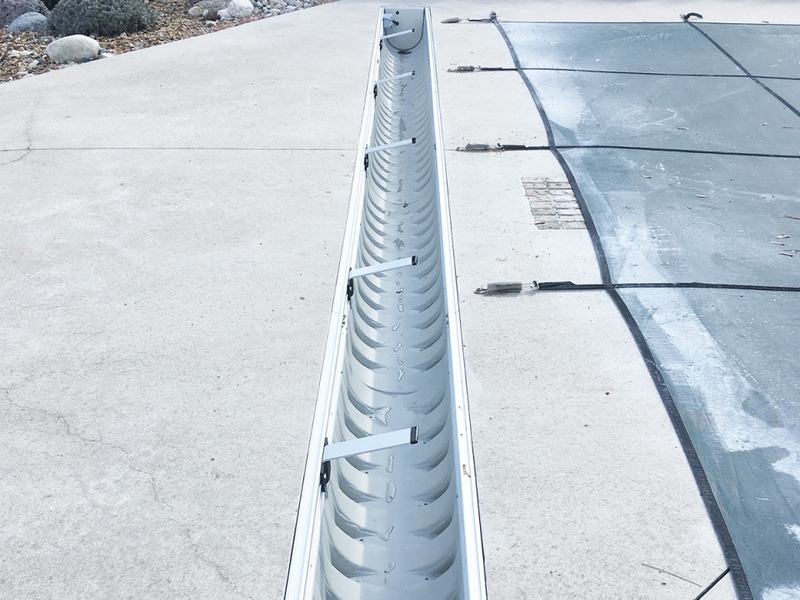 If you currently own a pool and want to install an automatic pool cover, the motor and drive mechanisms usually need to be installed above ground. For this job the client wanted to hide the drive mechanism for a cleaner look and preserve the sight lines. We solved the problem by cutting out an area in the ground and placed the motors inside. This job came in under budget and ahead of schedule and more importantly addressed all the customers concerns. As you can see the view is unbelievable and we didn’t want to disrupt it. By cutting the concrete and sinking the mechanism we addressed the site lines issue. The track placement was also important so it doesn’t create another visual line. Our polybox fit perfect and we were even able to adjust the position of the housing so a person could walk in front of our system with the cover fully retracted. Want a similar installation for your pool? 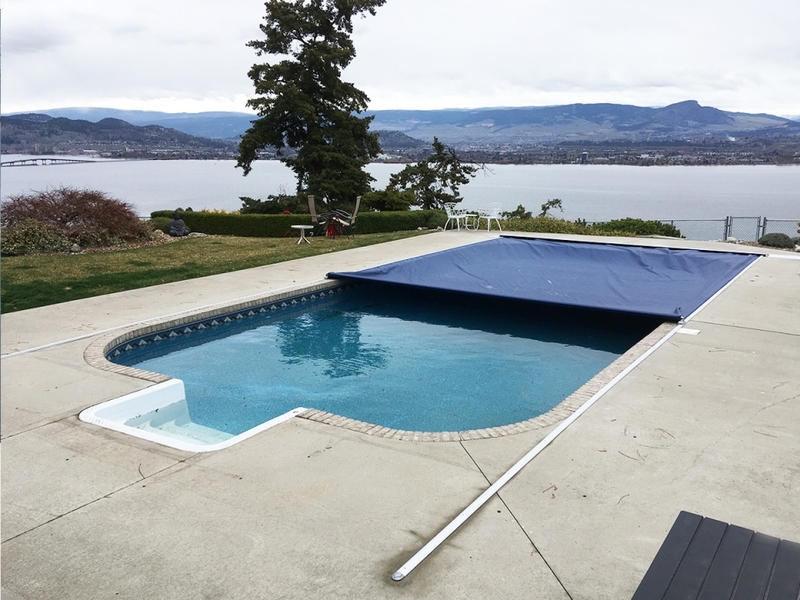 Phone 604-329-7077 or use our handy Contact form below to send us a photo of your pool so we can better evaluate your needs. Besides offering worry free safety our automatic and manual pool covers saves heat, chemicals and cleaning. 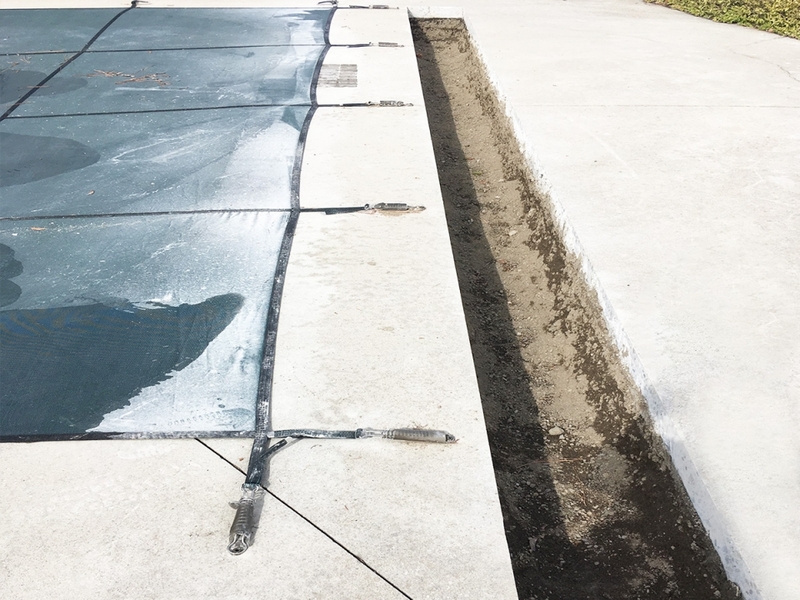 By extending equipment life our pool covers quickly pays for itself. You can save up to 70% on operating costs in Vancouver. Contact us today for a quote and pool cover consultation.